Show off your American pride and appreciation for the United States. 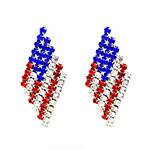 We offer affordable, glamorous and unique patriotic jewelry for all occasions. Search of huge selection of brooches, cufflinks, earrings, pins, tie tacks, watches and more for the perfect gift for him or her. 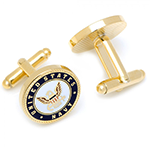 United States Great Seal Cuff Links: United States Great Seal Cuff Links has classic look with a historical flair. The Seal is die struck, 7/16 diameter polished gold electroplate. 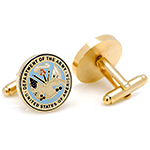 These cuff links add sophistication and patriotism to any outfit. Makes a great holiday gift! Originally designed for the White House during President Abraham Lincoln's administration, a proud American bald eagle adorns this stunning silver electroplated finish money clip. Makes a great gift for yourself or anyone who would enjoy adding some sophistication to their wallet. The American bald eagle reproduced on this custom money clip was designed for the White House during President Abraham Lincoln's administration. 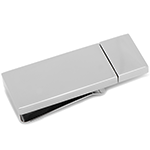 Money clips are perfect gifts for any man this season. This gold American Eagle money clip is the latest edition of our pewter jewelry items and comes with antiqued 24k gold electroplate finish. Accessorize with the Great Seal lapel pin. Polished gold electroplate, 7/16 with ball clutch. All metal, silver colored bracelet featuring metal charms including the Lincoln Memorial, The White House, The Jefferson Memorial, the Great Seal of the United States, the US Capitol Building and the Washington Monument. 6.75 inches in length. There may be no better way to be reminded of the iconic monuments of Washington, DC than to wear them on a charm bracelet. The 2017 Official Cherry Blossom pin has a modern design that appeals to all ages. The Official Emblem of the United States of America features a gold bald eagle clutching arrows in its left talon our symbolize our nation's strength and power. The olive branch in the eagle's right talon represent enduring peace. This reproduction of Smithsonian's famed blue diamond has a hand cut glass center stone encircled by 16 prong-set Cubic Zirconia. Easily transitions from brooch to pendant. 1 1/2"w.
the Great Seal lapel pin in Polished gold electroplate, red enamel background, 7/16" with ball clutch. Packaged in two-piece gift box. This is a great piece of jewellery for any man. 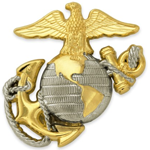 U.S. Marine Corps Emblem pin. Die cast, dual plated and polished to a great shine. Includes two clutch backs and is individually poly bagged. The Great Seal Cufflinks are die struck, 3/4 inch diameter polished gold electroplate, red enamel background. 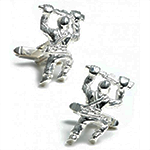 Swivel cuff link action attachment; packaged in two-piece gift box. Secure your button shirt cuffs with this fine piece of jewelry. 1-1/4" wide cast pewter gold electroplate finished Eagle brooch with crystal stones set on wings and feathers and a red, white and blue shield; joint pin safety catch. This stunning blue agate cameo necklace features the Dome of the U.S. Capitol on a 16-inch string of cultured pearls. The pearls are approximately 6 mm. The cameo measures 1 3/16" x 7/8" and is set in a sterling silver bezel. The necklace also features a two-inch sterling silver extension. Lobster claw clasp. 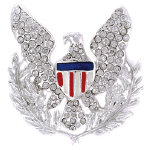 The custom tie tacks glass was first purchased in 1861 and reordered in 1865; several pieces of these unique tie tacks remain in the White House Collection today. 14k Washington Monument Charm: Washington Monument Charm Pendant is made from 14k yellow gold. It has purity of 14k. Yellow gold is well casted and polished. It has attractive looks. Make it yours, Order Now !!! 14k Washington D.C. White House Pendant: Washington D.C. White House Pendant is made from 14k yellow gold. It is wel polished and has attractive looks. Order Now !!! 14k Reversible Washington D.C. in Disc Pendant: Reversible pendant is made from 14k yellow gold. It is well casted and well polished. Solid polished pendant has attractive looks. Buy Now!!! 14k USA Flag Enameled Pendant: 14k gold is casted into USA Flag. It is well polished and enameled pendant having beautiful textured back. Order your now !!! 14k Solid Polished Capitol Building Pendant: Capitol Building Pendant is made from 14k yellow gold. Gold is well casted in beautiful pendant. Its length id 29 mm and width is 19.5 mm. 14K American Flag Pendant: 14k gold is casted into attractive American Flag Pendant. It is well polished solid. 14k Enameled American Flag Pendant: American Flag Pendant is made up of 14k yellow gold. In length 19 mm and width 17.5 mm, American Flag pendent is well enameled. It is attractively polished. Order Now !!! 14K Enamel 3-D Passport Pendant: Well polished passport shaped pendant is made from 14k Yellow gold. It is 3-D solid which is well enameled. It is Not engraveable. 14k Lincoln Memorial Charm: In length 13.5 mm and width 12 mm, 14k Yellow gold pendant is beautifully casted. It is well polished 3-D solid. Order Now !!! 14k Solid Polished 3-Dimensional Jefferson Memorial Pendant: 3-Dimensional Jefferson Memorial Pendant is available in 14k yellow gold. It is beautifully casted pendent having royal look. Ladies NBA Washington Wizards Charm Watch: In length 8 in, mineral crystal watch has Mother of pearl dial. It comes with Limited lifetime warranty. It is adjustable and has Alloy band. It has Japanese quartz movement and Silver-tone hands. Ladies NBA Washington Wizards Heart Watch: Fancy mineral crystal heart watch comes with limited lifetime warranty. It has Silver-tone hands and Stainless steel band. Silver-tone markers makes it more precious. It has Japanese quartz movement. Order yours now !!! Mens NBA Washington Wizards Beast Watch: Glass crystal Washington Wizard Beast Watch has Polyurethane band. It has Crown protector and Japanese quartz movement. It comes with Luminous markers and Arabic numerals. Mens NBA Washington Wizards MVP Watch: Mineral crystal watch has beautiful Luminous hands. It has Japanese quartz movement and alloy case. It is adjustable and has Polyurethane band. Rush to buy it !!! Youth NFL Baltimore Ravens Flash White Strap Watch: With limited lifetime warranty, Acrylic crystal watch comes with Silver-tone hands. It is very light. It has Japanese quartz movement. It has Silicone strap and Silver-tone markers. Order yours now !! Mens NFL Baltimore Ravens Watch & Wallet Set: The set contains mineral crystal watch and wallet. It has Limited lifetime warranty and Japanese quartz movement. It has Luminous hands and is 3 Atm water resistant. It is made up of Faux leather. Do not miss it !!! Mens NFL Baltimore Ravens Victory Watch: NFL Baltimore Ravens Victory Watch comes with limited lifetime warranty. It has mineral crystal. Also it has Silver-tone hands and Japanese quartz movement. Silver-tone markers makes it more precious. Order Yours Now !!! Mens NFL Baltimore Ravens Executive Watch: Baltimore Ravens Executive Watch has Luminous hands. It comes with limited lifetime warranty and has Stainless steel band. It comes with Two-tone color combination. It has Gold-tone markers and beautiful Deployment buckle. Do not wait, Order yours now !!! Mens NFL Baltimore Ravens Veteran Watch: Mineral crystal watch comes with Alloy case. It has Nylon mesh velcro band and Japanese quartz movement. It comes with limited lifetime warranty. It has White markers. Battery reference number is SR626SW. Ladies NFL Washington Redskins Mother of Pearl Watch: Enameled ladies watch has luminous hands. It comes with Limited lifetime warranty. It has Push button deployment and has Japanese quartz movement. It has Stainless steel band and Stainless steel clasp. Silver-tone markers and Mother of pearl dial makes it more beautiful. Mens NFL Washington Redskins Breakaway Watch: Mineral crystal watch has Arabic numerals. It has Polyurethane band. With Silver-tone hands, Japanese quartz movement watch comes with limited lifetime warranty. Order yours today !! 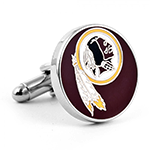 NFL Redskins Enameled Zinc Dangle Earrings: In length 3.75 in and width 2.5 in, silver tone earrings looks beautiful. It has Hypo-allergenic plating. Silver-tone earrings has height of about .25 in. Order Now !!! Mens NFL Washington Redskins Championship Watch: In length 8.5 in, mineral crystal watch has silver tone hands. It has Japanese quartz movement and leather band. Silver tone markers adds beauty to it. It comes with Alloy case and is 3 atm water resistant. Mens NFL Washington Redskins Coach Watch: NFL Washington Redskins Coach Watch has length of 8 in. With Safety clasp and 40 mm case, mineral watch comes with limited lifetime warranty. It is 3 atm water resistance. It has Deployment buckle and Silver-tone hands. Do not miss to buy it !!! Mens NFL Washington Redskins Executive Watch: In length 8.5 in, mineral crystal watch has gold tone markers. It has limited lifetime warranty. It has Deployment buckle and Japanese quartz movement. It comes with two tones and alloy case. Hurrry !!! Mens NFL Washington Redskins Veteran Watch: Mineral crystal watch has Japanese quartz movement. It has Nylon mesh velcro band. With Luminous hands, it comes with limited lifetime warranty. It is 3 atm water resistance. Order Now !!! Mens NHL Washington Capitals Veteran Watch: In length 8.25 in, mineral crystal watch is water resistant. It has beautiful luminous hands and comes with limited lifetime warranty. It has Japanese quartz movement. Order your now !!! Mens MLB Washington Nationals Beast Watch: Water resistant with limited lifetime warranty, glass crystal watch has Polyurethane band. It has batery reference # SR626SW. It also has Japanese quartz movement. Do not miss purchasing this !!! Mens MLB Washington Nationals Champion Watch: With Japanese quartz movement, Washington Nationlas Champion watch has leather band. In length 8.5, it has Silver tone markers. It has limited lifetime warranty. Mineral crystal watch comes with 42mm case. Mens MLB Washington Nationals Coach Watch: With deployment buckle and silver-tone hands, MLB Washington Nationals Silver coach watch comes with alloy case. It has stainless steel band and is 3 Atm water resistance. In length 8 in, it comes with limited lifetime warranty. Order Now !!! Honor a Marine today. 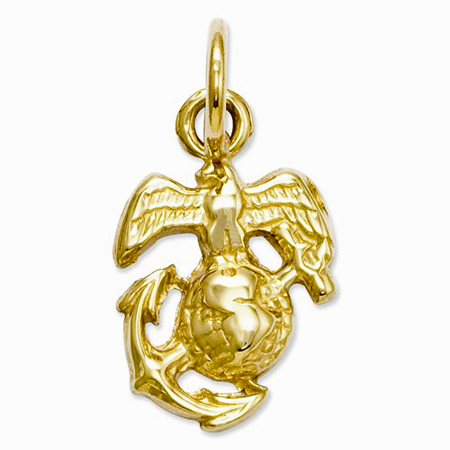 This polished 14k gold charm features the U.S. Marine Corps insignia. Chain not included. U.S. Navy Eagle pendant designed from 14k yellow and white gold. 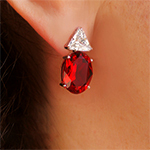 It measures approximately 32mm (1 1/4 inches) in width by 33mm (1 1/4 inches) in length. Hey Nats fans don't miss purchasing this official Mineral Crystal Watch of the Washington Nationals. Elephant Pin - Antique Silver. Made in 3 dimensional form using die cast pewter. This 3D process allows for incredible depth and detail. Each pin is hand polished, includes a standard clutch back and is individually poly bagged. 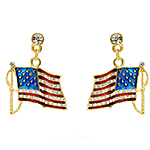 US Flag Enamel Dangle Earrings with Clear Crystals. Gold Tone Red Heart Dangle Earrings. Red White and Blue Earrings. Chelsea® brass button clock routed to hold 1-3/4" coin inside lid; gift-boxed. Coin not included. Measures 2-1/16" diameter, 1-5/8"H.
1-1/4" wide cast pewter rhodium-finished Eagle brooch with crystal stones set on wings and feathers and a red, white and blue shield; joint pin safety catch. This is the essential accessory for the organized on-the-go individual. Store your important data as well as your important documents all in one place. With up to 8GB of storage, you can store up to 1,750 songs, 10,000 photos or up to 10 hours of video. Constructed of Stainless Steel. Money clip by Ravi Ratan. 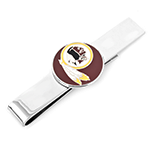 Sport your ties in style by adding the Washington Redskins Tie Bar. 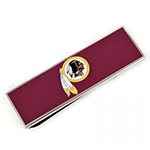 A shiny, rhodium plated sliding tie bar makes it easy to declare your Redskins allegiance front and center. 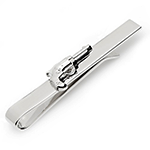 Officially licensed NFL tie bar. 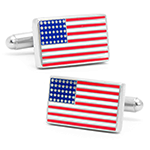 Celebrate the glorious Stars and Stripes with the USA Flag Cufflinks. Let vibrant Red, White and Blue enamel pop off your cuff. 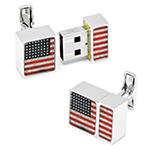 A great patriotic gift, the US Flag Cufflinks, show off your love of the best country in the world. 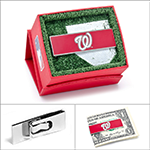 Carry Your "Nats" passion Wherever You Go With The Officially Licensed Washington Nationals Money Clip. Boasting A Heavy-Duty Forged 27 Gram Weight Construction And Rhodium Plating, The Nationals Money Clip Are Certain To Make A Loyal Companion For Years To Come. 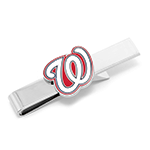 Sport your ties in style by adding the Washington Nationals Tie Bar. 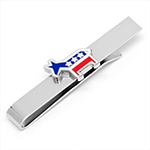 A shiny, rhodium plated sliding tie bar makes it easy to declare your Nationals allegiance front and center. Officially licensed MLB tie bar. The official tie bar of the Democratic Donkey. Cheer on your beloved Donkey in style. Sleek and full of shine, the tie bar features the official Democratic Donkey logo in enamel. 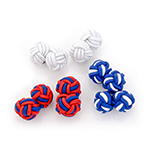 Add a little patriotism to your cuff with the Star Spangled Silk Knot Cufflinks. Silk Knots by Ox and Bull Trading Co. 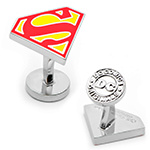 Celebrate the Man of Steel in style with the officially licensed Enamel Superman Cufflinks by DC Comics. Part accessory, part work of art, the cufflinks are constructed with impeccable quality. 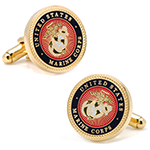 The face of the cufflinks feature expert enameling of the iconic red and yellow shield. A highlight of this exclusive collection is the fixed, DC Comics backing. The ideal gift for the Superman in your life. Officially licensed cufflinks by DC Comics. Carry your team passion wherever you go with the officially licensed Washington Redskins NFL team money clip. Boasting a heavy-duty forged 27 gram weight construction and rhodium plating, our team money clips are certain to make a loyal companion for years to come. 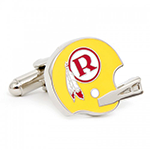 Hail to the Redskins with these cufflinks on a silver-plated setting. The only excuse for a Skins fan to be without these is if he is one of the Hogettes. The official logo of the NFL's Washington Redskins. Enamel cufflinks on a silver plated setting. 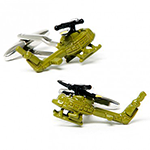 Make your friends green with envy and impress them with the Army Green UH-1 Huey Helicopter Cufflinks. 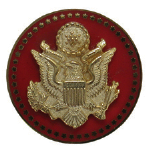 The official military insignia of the United States Marine Corps in a colored enamel finish on a gold setting with a rope border. In honor of the men and women who serve our country. The official military insignia of the United States Navy in a colored enamel finish on a gold setting with a rope border. Approximately 2 1/4" X 1 1/2" - 100% Fine Pewter - Made In The U.S.A.
You wouldn't replicate this pose in your best suit but people should know that got dirty trying to keep this country free. The official insignia for the United States Army. The perfect gift for our country's finest. 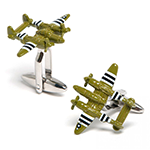 Arm yourself with the meticulously designed Army Green Tank Cufflinks. 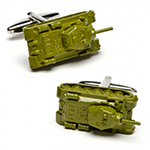 The army tank remains the King of the Modern Battlefield, and these cufflinks featuring hand-applied enamel and a torpedo back closure, will have you equipped for any front-line combat that comes your way. Cufflinks by Cufflinks, Inc. The classic Republican Party Elephant expertly encapsulated in cufflink form. The Star, the Red, White and Blue all reflect the ideals of the GOP. Show off your political colors in style. Cufflinks by Cufflinks, Inc. The official tie bar of the Republican Elephant. Cheer on your beloved Elephant in style. 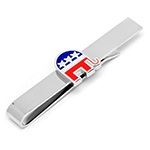 Sleek and full of shine, the tie bar features the official Republican Elephant logo in enamel. Tie bar by Cufflinks, Inc. 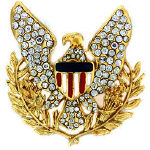 This lapel pin commemorates that fateful day 10 years ago with an American bald eagle situated in front of an American flag with a likeness of the Pentagon on the bottom right. Pin measures one inch across and flag is painted red, white and blue. Reissued for the 50th anniversary of D-Day, this watch by Benrus was worn by millions of US servicemen. It features a military green canvas strap, stainless-steel case, Swiss mechanical movement, and luminous dial and hands. A "hack" feature stops the second hand when the crown is pulled allowing soldiers to synchronize their watches. 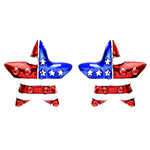 Show off your patriotic pride with these Washington DC souvenir American Flag earrings. 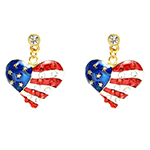 Celebrate the Fourth of July with these fun earrings. Send a powerful but understated message to those around you stating you are a patriot and lover of the U.S.A. High quality die-cast metal; enamal painted and a high quality urethane finish. Measures approximately .75 inches square. Cherry Blossom necklace is one of the oldest historically documented forms of jewelry. The Japanese Washi Paper Necklace is beautifully designed with fresh-water pink pearls on a 16 inch necklace (with 2 inch extender chain) support the sterling silver encased Japanese Washi paper pendant. These magnificent earrings are a stunning homage to the legendary 23.1 carat Burmese ruby ring which was given by Dr. Peter Buck to his wife Carmen Lucia Buck which was bequeathed to the Smithsonian Institution in Washington, DC. Our Austrian crystal pendants are adapted from the original Hope Diamond. Eight round and eight princess cut crystals surround the center blue crystal. This donkey pin is heavily layered in gold and high polished to a bright finish. Red, white and blue enamel overlay gives it a nice patriotic flourish and will be a sure hit and addition to your wardrobe. Show your patriotism with the American Eagle Pin. This collectible features a bald eagle with its wings outstretched. 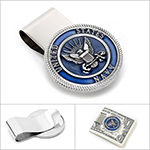 Show your patriotism and class with the United States Great Seal Pin. Although this necklace appears to have a distinct Egyptian feel, it is based upon a sculpture by the late Heinz Warneke created in 1927 and on display at the Corcoran Gallery of Art in Washington, DC. Located on the north bank of the Potomac River and founded July 16, 1790, you can now celebrate the Nation's Capital (aka "The District") with this exquisite cameo lapel pin. 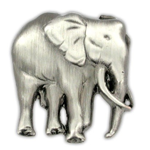 3/4" round lapel pin in eye catching silver and white featuring the Republican Elephant. 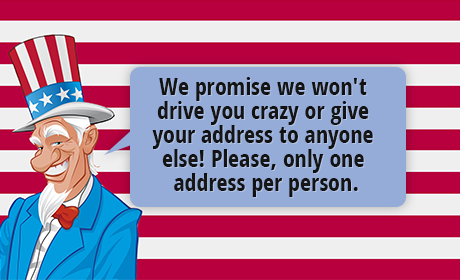 Show your colors of support for America's Grand Old Party with this red, white and blue pin. High quality die-cast metal; enamel painted and a high quality urethane finish. Approximately .6 inches square. Stretch beaded bracelet featuring three Republican elephants, and three U.S. flags. Federal Bureau of Investigation (FBI) Logo Cufflinks. Acrylic image emblems. 18mm wide. Accessorize with this RNC elephant piece that doubles as both a lapel pin and a tie tac. Whether worn on a dress blazer or your favorite tie, the RNC Elephant Lapel Pin/Tie Tac provides a conservative touch to any business attire. Dress up your French-cuffed shirts with the ultimate in political affiliation. Cuff links are Sterling Silver featuring the RNC elephant design. With navy blue surrounding a raised RNC elephant, this Gold-plated pin is uniquely versatile. Wear with your favorite necktie or upon your jacket lapel.The lapel pin is 7/16" in diameter. 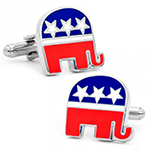 Accent your formal attire with a conservative touch by choosing cuff links exclusively designed for the RNC. Gold plated to match any dress occasion. Cuff links are 7/16" in diameter. This active and contemporary watch, from Relic, by Fossil, in stainless with gold accents dresses up for the night, but is perfectly comfortable as a business casual accessory. Your watch has a date function, is water-resistant to 165 feet and has illuminating hour markers and hands. The active watch has a light gold face and is decorated with a dark gold DEA Badge.